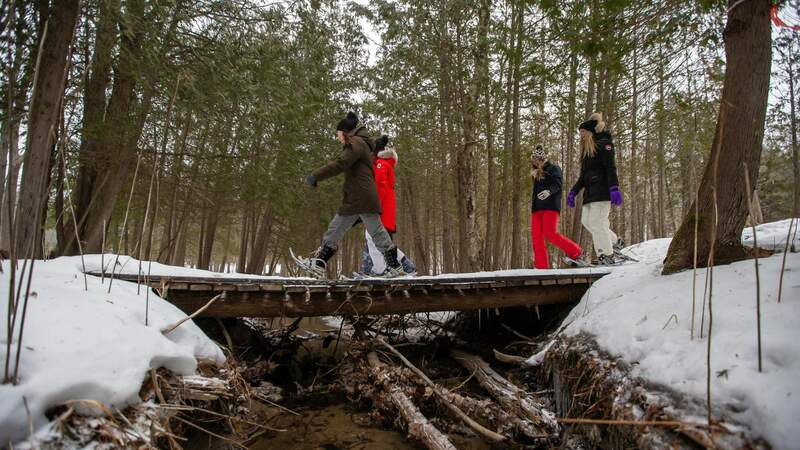 Snowshoeing is a great way to work out and enjoy the trails! Go for an hour, or for the day. Horseshoe Resort sits on the edge of the Copeland Forest, where you can enjoy snowshoeing for all levels. Visit our Cross Country building to purchase your trail pass, rentals and to pick up a snowshoeing trail map. Looking to try something different? Check out our moonlight snowshoeing, available Saturday nights during the winter on the Alpine side of the resort, weather depending. Purchase your ticket at Guest Services. *Please note that dates and hours of operation are subject to change based on weather conditions.